2x Champ, Proven Multi-Champion Producer! 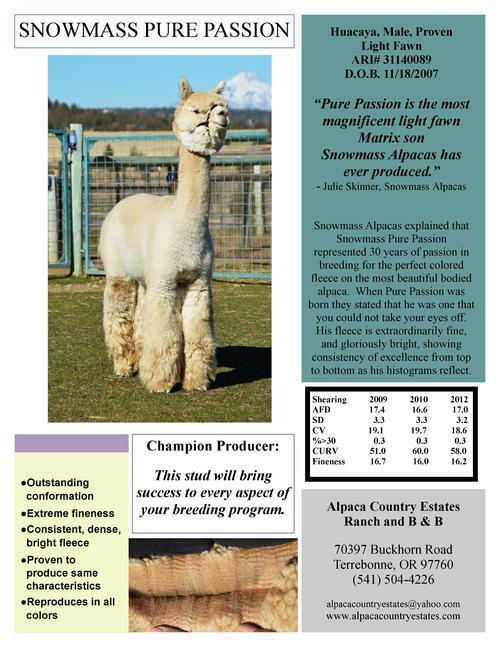 “Snowmass Pure Passion is the most magnificent Light Fawn Matrix son Snowmass Alpacas has ever produced.” ~ Snowmass Alpacas LLC. 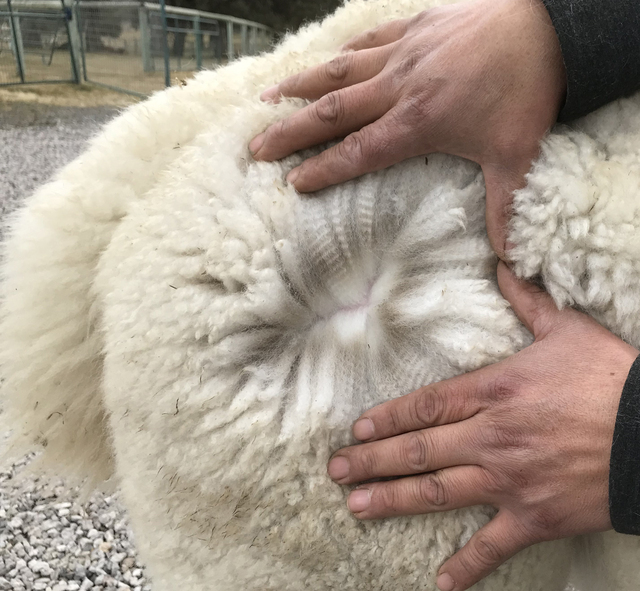 Patagonia’s Amarilla Rose is a lovely El Trauco daughter. 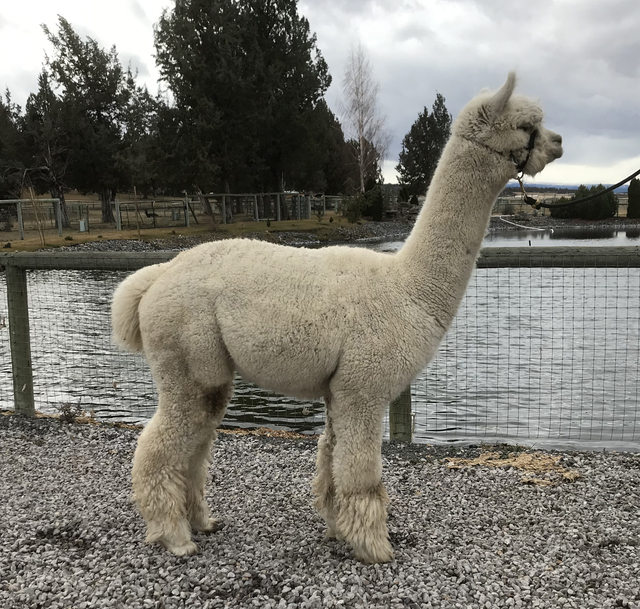 Her lineage embodies many of the great herdsires Alpaca's de la Patagonia have produced: Shackleton, El Trauco, and El Padre. Her dam, Patagonia's Rouge is a beautiful light rose grey female out of El Padre. 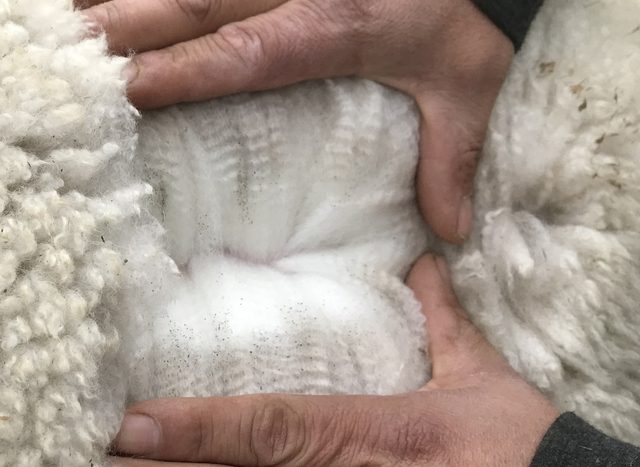 Rouge is a proven Champion Producer including 4x Champion, Patagonia's Vinson Massif and Patagonia's Ingenue a 3x Color Champion,1x Reserve Champion and 7x produce of dam winner! Estates Pure Aztec has an Impeccable Pedigree! 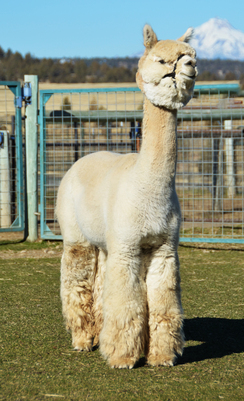 Aztec's dam, Patagonia’s Amarilla Rose, is a lovely El Trauco daughter. 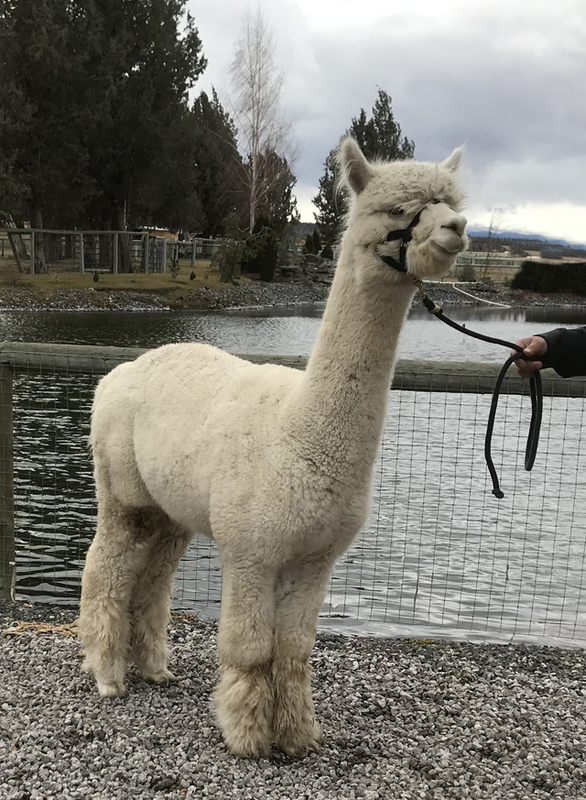 Her lineage embodies many of the great herdsires Alpaca's de la Patagonia have produced: Shackleton, El Trauco, and El Padre. 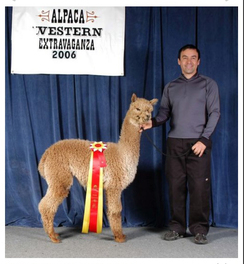 Amarilla Rose won Reserve Champion and 1st Place ribbon at MAPACA 2006, as well as several other ribbons during the 2006 show season. 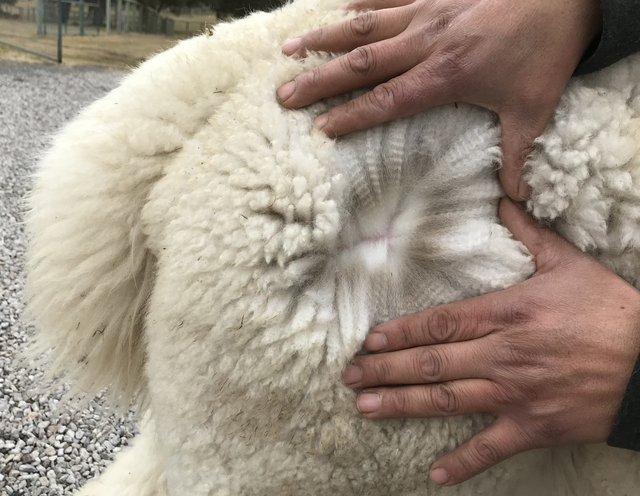 Not only a champion, Amarilla Rose is also a proven champion producer - Her offspring include 8x champion, Patagonia’s Celio; 3x champion, Patagonia's Delicia and 2x Reserve champion, Patagonia’s La Marietta. Don't miss out on this male's introductory stud price!